What are you doing this Valentine’s Day? How about taking a romantic vacation or indulging on dinner at a 5-star restaurant? Surprising your sweetheart (or yourself) with some sparkle? You needn't limit yourself to only giving gifts of flowers and jewelry this Valentine's Day when you can also provide your loved ones with peace of mind, by giving the gift of security. Your PC can quickly become infected with malware, placing your personal data at stake. It could involve the loss of photos and documents, your music collection, access to online storage services or even your bank account. I had obtained a few Avast Premier annual license codes back in December from the Computer Bild Download Advent Calendar 2018 giveaways that I would like to giveaway. These codes must be activated no later than July 29, 2019. If you by chance have already set up the free version on your PC, the code will upgrade it to the full version for 1 year. All those interested in this giveaway can reply below. The only rule is you must have said 'Hello' in the "Member Introduction" thread Here to qualify. 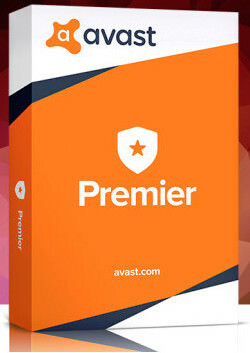 Avast Premier is a reliable, time-tested antivirus solution. Here is my entry. I have used Avast for years, and they are one of the best in the biz. Current time: 04-19-2019 , 01:54 AM Powered By MyBB, © 2002-2019 MyBB Group.